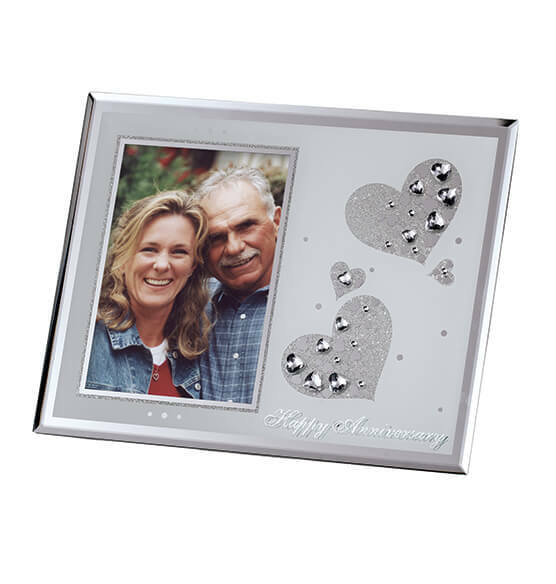 Tell their love story with this elegant glass photo frame. Adorned with two large sparkling hearts embellished with raise crystal hearts, and two smaller hearts with sparkles and crystals. Beveled glass edges on all sides. 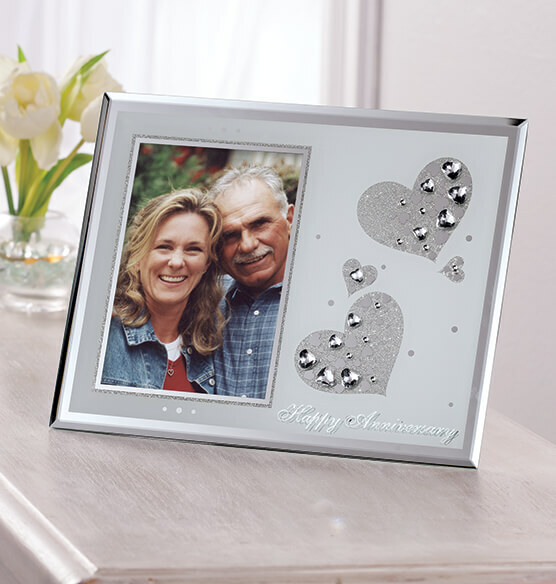 Perfect for a wedding or anniversary photo, or a photo of your sweetheart. Comes in a white gift box.